To honor our military families, OLF Elementary held a special mass dedicated to those serving and those that served in the armed forces. “We want to thank these men and women for all of their sacrifices each day so that we can live in such a wonderful country, said Ms Hahn, OLF Elementary Principal. 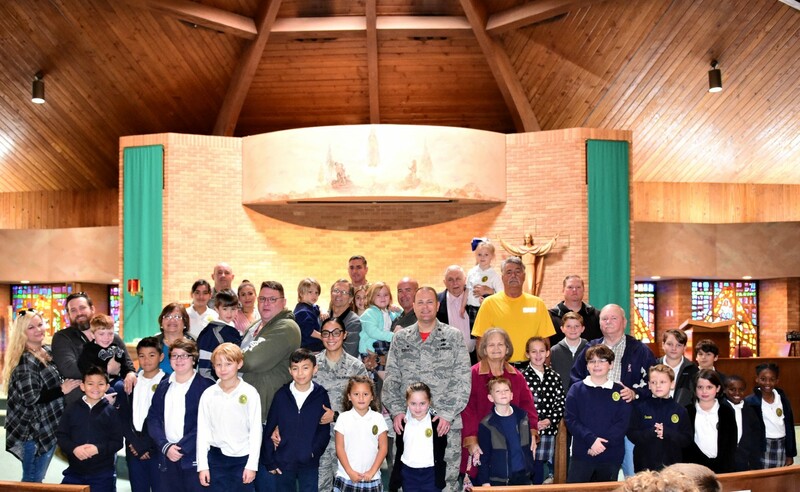 “The military community is very active in assisting our school and our parish.” As part of the celebration, the 1st grade class and the 3rd grade class made a special presentation to those military families in attendance. More photos in Seen & Heard. We salute our military families and students.